As Southern Michigan’s premier commercial relocation company, we serve a broad spectrum of clients with a diverse set of needs and specifications. Various scenarios will dictate the need for either temporary or long term storage. Some clients may simply not have the proper space for excess furniture inventory while others, in the midst of various stages of site readiness, may need a temporary yet secure and reliable storage solution. No matter what the reason, Michigan Office Movers will provide the right storage solution for your needs. 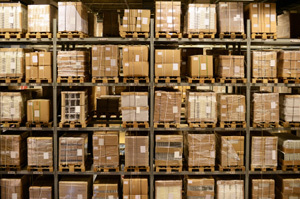 We operate one of the largest furniture warehouses in Southern Michigan, equipped with state of the art security and fire protection systems. Access is limited to only our screened and authorized team members. A computerized inventory control system tracks each piece of your furniture inventory. Each item is inspected and labeled for complete tracking. New furniture items can be received directly from furniture manufacturers and distributors to our storage warehouse. Copies of receiving reports and packing slips are forwarded directly to key staff within your organization. Our clients are provided with expedited delivery options to meet time sensitive requests. Prior to delivery each item is professionally retrieved from its location within our warehouse. The item is then physically inspected in order to verify any changes in condition since being stored. Your furniture asset’s request status is also verified within our database. To assure protection and security during transfer, we carefully pad and wrap each item. Additional packaging or crating may be utilized for oversized or fragile pieces. Your inventory is then placed on one of our GPS tracked, specially designed vehicles for safe and secure transport and delivered and placed within your facility. Whether you have new or used furniture requiring either temporary off-site staging or more long term needs, Michigan Office Mover’s provides you with secure, efficient and cost effective storage and transportation solutions. To find out more, please contact us by phone or fill in the form on the page.